Give our Treasure Trove a Try! What is the Treasure Trove...? Hello! I'm Meeghan. I have my master's in special education and I'm mommy to six little ones. I have been there. I have searched for hours trying to pull together crafts, book lists, lesson ideas and fun educational activities. I have done the hard work. I've created a member site to help you easily find information you need. Please join me in our Learn and Play Treasure Trove! What is the benefit of our free membership site? 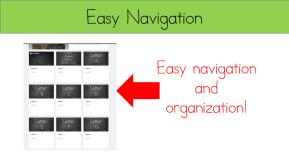 Easy Navigation - Easily find material based on letter or month of the year. No ads! The member area is an ad-free zone! With this offer, it is just $1 to join! Want to see what is included? Fill out the blue form and check your inbox! We love the dollar store. We love Target® Dollar Spot. Sometimes you can find awesome value for just $1. We want to save you time and energy looking for awesome ideas. We want you to spend more time with your friends and family enjoying life. Take the risk, spend $1. Give it a try. This is the last time you will see this offer! Don't miss it! YOUR CHOICE: You choose TWO lessons you want to download. No. Each membership is for one individual teacher/parent/user. 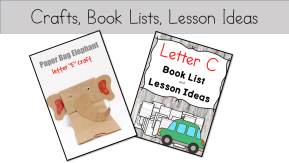 Do I get any downloads or lessons to go with the crafts, book lists or lesson ideas? Yes! You get your choice of 2 downloads! How long will I have access to the member site? Forever 🙂 For $1 you can be a member forever. No strings attached. Immediately after you choose which downloads you want! Once you get in the member area you can look around and find which download you want. Once you choose, it is yours! No, we do not currently have this membership for sale on other sites. Sorry. Is this a reoccuring payment? No! This $1 gets you into our membership site. It is a one time payment that gives you your choice of 1 download from our member area. If you want to purchase more credit for more downloads you can....but there is no obligation. You will have access to crafts/lessons/book-lists and access to your downloads you choose. Because much of our content is downloadable right away after payment, we have a no-refund policy. Plus, it is $1 - I am trying to give you as little risk as possible to seeing and being a member to our site.